It is not a troll or I do not mean to offend any people, but I am curious. Can non white people from a western country be called a western people? I mean Is an Asian man (or black) born and raised in USA a western man? Be Aware who you are talking to. Two men share this ID, who are Dr. Jekyll and Mr. Hyde. Yes; for example, an Asian American is very different than an Asian person living in Asia. 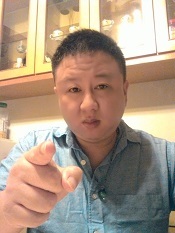 Asian Americans act and talk like Americans, not Asians! That's why it's such a culture shock for Asian Americans when they go back to their country of origin. It happened to me--the first time I went back to South Korea. Yet, strangely enough, even though I was an outsider in many ways in that country, I felt more 'Korean' and comfortable in my own skin than when I was back home in the United States. I've never really felt comfortable being an Asian in America, ever since I was young. I wonder...do other Asian Americans feel this way, too? If a foreigner goes to the west for a short time, they are just fools. If they stay in the west for a long time, they are westerners. To me, it's not about the residence, it's about the corruption. Foreigners get corrupted by western values within months. Re: Can a non-white westerner be called a westerner? Yes and no. You can call yourself whatever you want. However, if you are in Asia, and you call yourself an American, they will look confused because in their minds, only white people can be "American". They do not see citizenship and nationality or ethnicity as the same thing. But I noticed when I was in Europe and Russia, I could tell them that I'm American, and they did not look confused. They understood what I meant, that I am from America but that I'm an Asian. There were no confused looks like in Asia. Definitely, Asians are more narrow minded. I don't understand why no one has the guts to point that out publicly. Not even on a blog.